Car enthusiasts well remember the dominance Mazda held on performance automobiles with classic autos like the RX7. For the uninitiated, the RX7 was considered one of the best-handing, best-steering, most fun-to-drive, and purest sports cars of its time. Good news for car enthusiasts of all generations: The Mazda rotary engine is new and improved and set to make a comeback. If you missed it the first time around, or are just learning about the possibilities, the Mazda rotary engine is something great to look forward to. Park Mazda knows our clients are excited to experience the next generation of Mazda innovation. You can rest assured these new vehicles will be available in our stock of new vehicles. The rotary engine will be integrated into the Mazda EV (Electric Vehicle) line for 2019. Canadian drivers can expect the same great Mazda performance and a longer range with the upgrade. One of the challenges for Canadian drivers has been finding an electric vehicle that can keep up with our needs. It’s one thing to reduce emissions but it’s something else to have a car you can depend on. A rotary engine allows for less weight and more range with electric capabilities. You’ll be able to charge up and get where you are going and back home without a second thought. Bringing back the rotary engine has benefits beyond the thrill of the drive. Car owners will get the most from their electric vehicles with these new Mazdas. Mazdas are also dedicated to safe performance. The new rotary engine design offers less weight in the front and fewer hazards for drivers. With upgrades to safety design and by protecting drivers and passengers, these cars will be safe to drive. What’s more is that the safety comes with a different design all around. The performance benefits abound. Rotary engines from Mazda are a completely different design than traditional engines. Instead of the traditional pistons in auto engines, rotary engines change the design entirely. With a triangular rotor that spins, the Mazda rotary engines alleviate the up and down of pistons. Cased inside an oval housing, this design offers smoother acceleration. In addition, the rotary design is more compact with less noise. Add in less vibration and a flat torque curve and it’s easy to see how Mazda is set to change the auto industry once again. All of the changes to the basic design of the rotary engine allow for many benefits in performance. As Canadian drivers need more range from electric vehicles than European counterparts, the lightweight and smooth performance is a major feature. In addition, a rotary engine offers a lower center of gravity for auto design. This further leads to less sound insulation and deadening materials. Rotary engines use a triangular rotor rather than banks of pistons that go up and down. You’ll also see a greater power-to-weight ratio from these next-generation Mazdas. What the rotary engine loses in weight and add-ons it gains in power and acceleration. If you remember when electric vehicles were thought to mean low performance the Mazda will be the exception. With the RX series, Mazda has been an innovator in both performance and design. From the Miata to the famous RX designs there is always a beautiful design to love from Mazda. The new rotary engine vehicles promise more of the same. As the next step in the RX line, drivers can expect to turn some heads with these cars. Mazda has long kept the wraps on the designs in an effort to perfect the car before debuting a new rotary engine model. But the reaction to the concept designs has been nearly unanimous. These rotary engine vehicles are meant to be luxury sportscars and we expect a similar reaction from the public. The great performance and winning beauty is a tough combination to beat. Wih all of the integration capabilities and digital measurements, available car interiors have changed dramatically. But with the new rotary engine vehicles, Mazda is returning to elegant simplicity. Rather than fill the driver’s cockpit with extraneous displays, the interior of the new vehicles is meant to remain elegant. Balancing the need for ease and information while driving, the new Mazdas are built for traditional car enthusiasts. They add the trim and luxury of leather and combine it with the essentials of driving. The new Mazda rotary engine vehicles won’t feel like flying a spaceship. They are built for car lovers who appreciate innovation as well as classic styling. Mazda has long been a leader in environmental concerns. The new rotary engine vehicles take that one step further. The reason for the range increase on these electric models is due to the lower weight. You will be using less energy to get farther with the new Mazdas. This is a great combination of cost savings and a lower carbon footprint. As an innovator in automotive environmental technology, Mazda offers our clients the best in performance and sustainable design. You can also rest assured that noise pollution will be reduced significantly with these vehicles. Between the electric options and quiet rotary engine, the new designs are set to be quiet under any conditions. Between lower emissions and less noise, the new Mazdas are something to be proud of. You don’t have to wait for the next generation rotary engine to find the best selection and service for Mazdas. 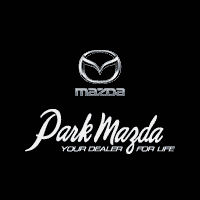 Park Mazda has you covered– we strive to be your dealer for life. Edmonton and Sherwood drivers prefer us because of our great service and support. Park Mazda doesn’t just offer the highest quality automobiles, we provide great financing options to get you the car you want. Plus, we support out car owners every step of the way. Between our specials and options for car purchasing and service, Park Mazda helps our clients get the best. Contact us now and find out how we can match you to the car of your dreams.